Alpaca Alpaca is a small family run alpaca farm set in 11 acres situated on the outskirts of the beautiful historic town of Yarm, where we aim to raise happy, healthy alpacas with outstanding genetics. We moved to our little small holding in 2014 where we started with 6 inherited chickens and no farming background what so ever. Since then our family has grown and we now have over 30 alpacas, a couple of llamas, some crazy sheep and Jerry the ‘high street wonderer’ pet pig. Like all our animals, the alpacas are very much loved, they all have their own unique characters and their inquisitive nature and charm makes you feel so relaxed, it’s hard not to fall in love with these enchanting creatures! In the last 50 years or so, alpacas have emerged as a thriving industry once again. 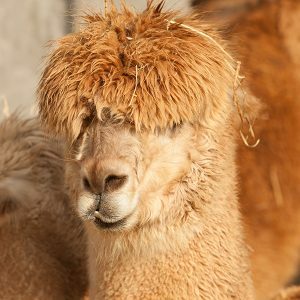 Because of sophisticated breeding programmes and husbandry, alpacas provide a luxurious fiber which can be turned into textiles for a sustainable market. Today the alpaca is rapidly spreading throughout the world as more and more people in numerous countries recognize the potential of this fascinating animal. The standard of alpacas entering shows throughout the UK is phenomenal and improving every year and despite the fluffy exterior, competition is fierce so we are very pleased to be making our mark in the UK alpaca show ring already, we aim to continually improve on what we have and herd the best genetics!